Some good news on the Engine 212 front. After considerable pressure from Councilmember David Yassky, Community Board 1 and other activists, the Bloomberg administration has agreed to create a task force to look at the reuse of closed fire houses citywide. Yassky and Community Board 1, as well as Borough President Marty Markowitz, have been united in insisting that 212 not be sold to the highest bidder, but instead remain a community asset. Among the options under consideration are affordable housing, preservation, a community facility, or a mix of all three. 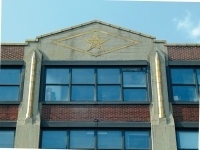 For its part, WPA supports Councilmember Yassky and the Community Board, and continues to push Landmarks to designate the building. Some good news on the plight of Engine 212, or at least the company's former house. 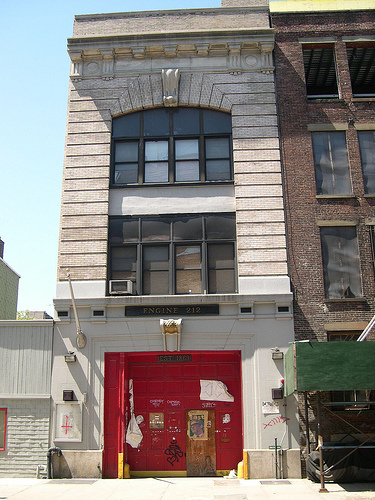 NAG and the People's Firehouse, two community groups that have long been active in the Northside, were awarded the development rights for the former 212 firehouse on Wythe. The groups plan a $1.3 million project to convert the building into the Northside Town Hall community center. Wednesday night (28 October) is the big benefit for the Northside Town Hall capital campaign. 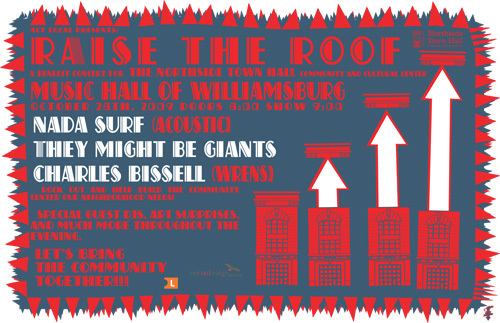 In what the Onion's AV Club is calling "the Gen X concert of the year", Charles Bissell of the Wrens, They Might Be Giants and Nada Surf* will be playing a benefit at the Music Hall of Williamsburg. Doors open at 8, and tickets are $25 (for $75 you can get VIP tickets with special seating, free wine and food). You can buy tickets at Teddy's or online at TicketMaster. The benefit supports the capital campaign for the Northside Town Hall Community and Cultural Center, a joint project of two longtime North Brooklyn neighborhood groups, Neighbors Allied for Good Growth (NAG) and The People's Firehouse, Inc. (PFI). Located in the former Engine Company 212 firehouse in Williamsburg, the Town Hall will serve as a home for these organizations to continue to serve, organize, and advocate for the community. The building will also feature a flexible cultural exhibition and community meeting space on the ground floor. * The postcard says acoustic - they've changed their minds and are now doing a full electric set.